Photokina2016, 191,000 enthusiastic visitors, 983 satisfied exhibitors - thas was the photokina 2016, the world's leading trade fair for photography, video and imaging. NANGUANG is one of them. Here is the video of Photokina 2016. Let’s enjoy it. After watching the NANGUANG video on site, have you felt that you were in with us? And which have attracted you most? Let’s go with us next. 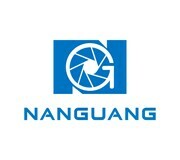 Thanks again for NANGUANG team, with lighting, with image, and with NANGUANG.